The Euclid Avenue/Park Avenue Bicycle and Pedestrian Overpass, better known as the Basket Bridge, provided the final link for a bicycle and pedestrian path connecting downtown Tucson to the southeast side of the City. This project had a number of sensitive cultural and community aspects that required a strategic approach to bringing the community together for the dedication of the facility. Gordley Group was responsible for staging the dedication ceremony to raise awareness of the positive attributes of the project and the accomplishments of the City and community. 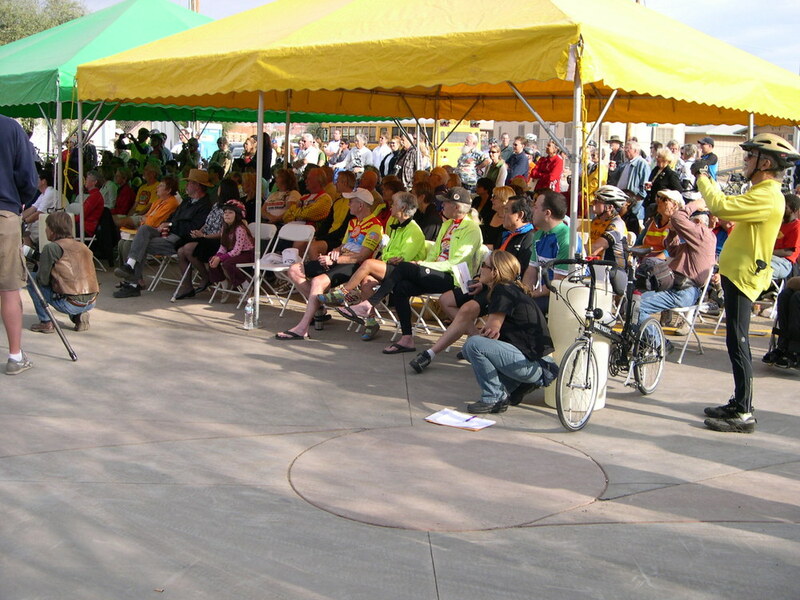 The event was staged to coincide with festivities surrounding El Tour de Tucson regional bicycling event. Under a tight deadline, we designed and produced a full-color invitation for the dedication, with the goal of presenting a high quality image of the project that would reach out to many who could attend the event as well as those who would only experience it through the invitation. In addition, our team coordinated the celebration logistics; speakers, which included bicycling celebrity Greg LeMond; multiple vendors for facilities and refreshments to accommodate 200 attendees; set-up; and the ceremonial ribbon-cutting, and opening which incorporated the bridge’s public artist’s granddaughter leading the first ride through.